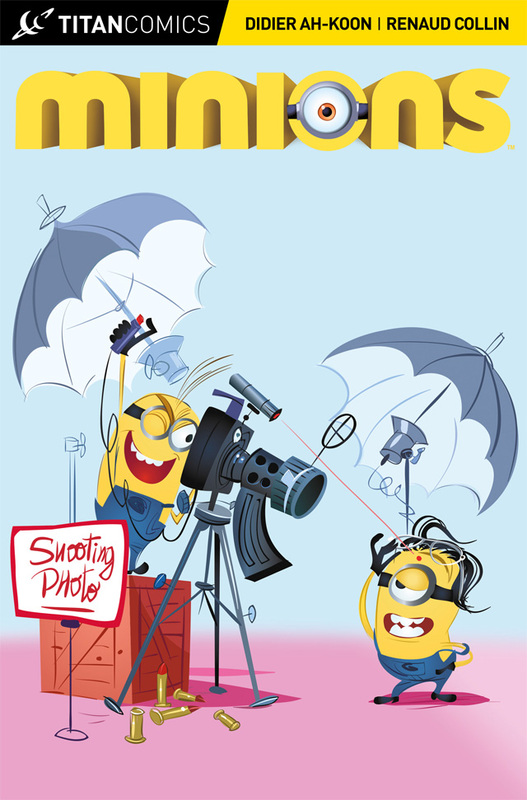 Titan Comics: MINIONS #2 Review | Warped Factor - Words in the Key of Geek. In terms of the action-speed or the need for impatience to sell Minion comedy, Collin and Ah-Koon tend to slow everything down, and can get pretty much a whole strip out of one impatient moment, Ah-Koon coming into his own here by showing in detail the stages of impatience – the increasing hardship of waiting for something to happen, visible on the Minion’s face or in their action, and building to a climactic last panel, where you get a reaction – it’s almost like watching a comedy masterclass at one fifth of its normal speed, but it certainly allows you to appreciate the artistry involved, because by making you wait for the reaction shot or the pay-off, you’re getting the effect of a comedy sneeze, a tickle of knowing what’s coming, which builds and builds the longer it’s delayed, till blam, the final panel gives you the relief of laughter. What’s important to realise about making the Minions work in this format is that there’s no over-arching plot to the comic-book; it’s the same as any other daily newspaper strip – one page is one story, so you’re seeing the Minions in a new way – divorced from a movie-length objective, Collin has had to make the Minions more explicitly what they are – avatars of the ordinary Joe, working in a dull job or subject to the demands and disappointments of life. The difference of course is that the scale and the background of Minion life is delicious evil mischief, rather than, say, quantity surveying. But Collin’s taken a cue from the thousand sight-gags of the likes of Monsters Inc, so you have Minions with clipboards here, Minions dreaming of their nirvana, Minions in the gym, Minions dealing with officialdom and banana-based disappointment – and by doing that, Collin and Ah-Koon have delivered a comic-book that appeals to your Inner 8 year-old, while also delivering gags in which the settings speak to more grown-up geeks as well as the younger ones at whom this comic-book is probably more specifically aimed. 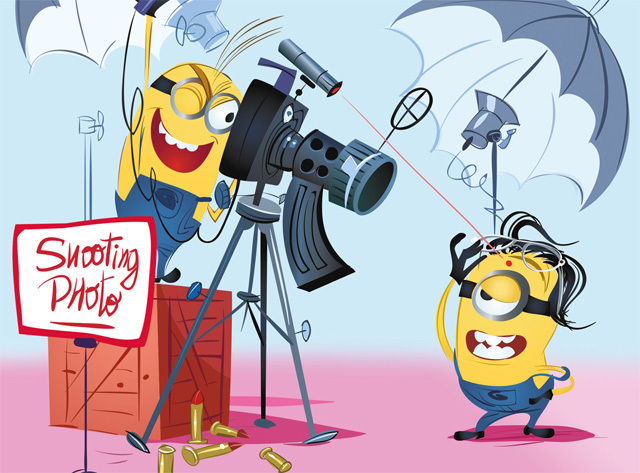 Bottom line, Minions #2 is quick, mostly forgettable fun that will make young children roar, and anyone over the age of twelve chuckle pretty heartily, then allow them to get on about their day. It’s a neat little Minion snack between their longer animated adventures. If you need extra Minions after the recent movie, it’ll deliver for you – but don’t come to it looking for complicated plots, because the decision to deliver short strips rather than storylines means that her you get a lot of individual chuckles, rather than a journey to actually get anywhere.